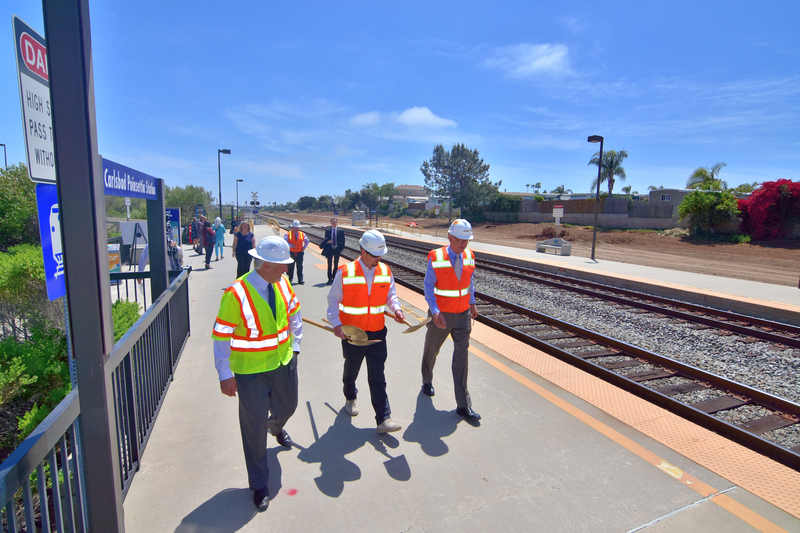 During the Aug. 21 Carlsbad City Council meeting, Allan Kosup of Caltrans reported the status of the Build North Coast Corridor Program, including the Poinsettia train station improvements. The years-long project ranges from Solana Beach to Carlsbad and is currently in Phase 1, which will cost $846 million, he said. The program is funded through TransNet and state and federal gas taxes. Phase 1 started in 2016 and is expected to be completed in 2022. The highway improvements include Caltrans extending carpool lanes on Interstate 5 from Lomas Santa Fe Drive to State Route 78 in Oceanside. The San Elijo bridge will be replaced, lengthened and additional lanes added, Kosup said. The next project slated to begin is adding carpool lanes from the San Elijo Lagoon bridge up to Palomar Airport Road. The final stretch from Palomar Airport Road to State Route 78 will not begin for several more years. Rail improvements include double-tracking at San Elijo and Batiquitos lagoons, while replacing and lengthening the rail bridge over the lagoons. At-grade crossing improvements at Chesterfield Drive in Encinitas are also planned. The San Elijo Lagoon will also undergo restoration in coordination with the San Elijo Lagoon Conservancy. Some improvements include tidal flushing and beach sand replacement. Also, a new north-south bike path is part of the project goals. Kosup said the goal is for improvements from Manchester Avenue to Palomar Airport Road to begin in October. The project includes 18 miles of new high occupancy vehicles (HOV) lanes on I-5. 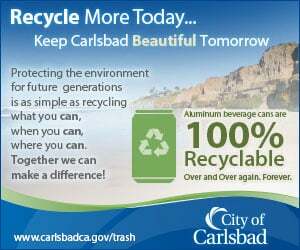 Also, five sound walls will be installed in Carlsbad on private property. The project is slated to be completed by late 2021 and cost an estimated $300 million. As for the funding, Kosup said the funding “allowed” SANDAG and Caltrans to go up to SR 78 came from Senate Bill 1 funds. SB 1 is the gas tax approved last year by the state legislature adding a $0.12 tax to gas. However, the bill is under fire from residents and former San Diego City Councilman Carl DeMaio conducted a successful referendum campaign to put SB 1 up for repeal on the November ballot. Recently, supporters of an initiative backed by DeMaio to repeal California’s gas tax called for an investigation into alleged campaigning by Caltrans contract workers in San Diego County. The Yes on 6 campaign announced the filing of an ethics complaint with the San Diego County District Attorney’s Office, the California Highway Patrol and the California Fair Political Practices Commission involving workers in Caltrans uniforms that DeMaio said were documented handing out “No on 6” flyers to drivers along State Highway 78.